The exclusive limited edition Icon Edition is limited to just 100 copies. 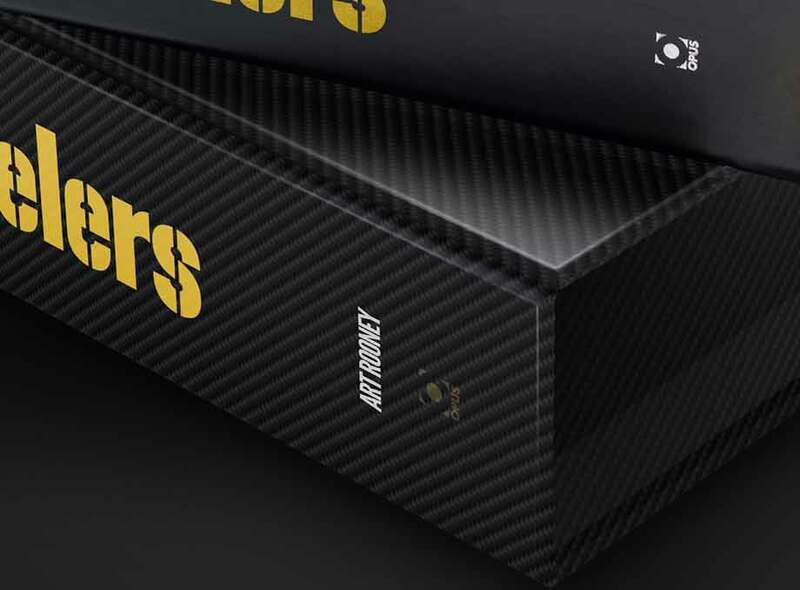 Delivered in a custom made Steelers clamshell presentation case, this marquee edition Opus measures 18 inches square covering 780 pages. 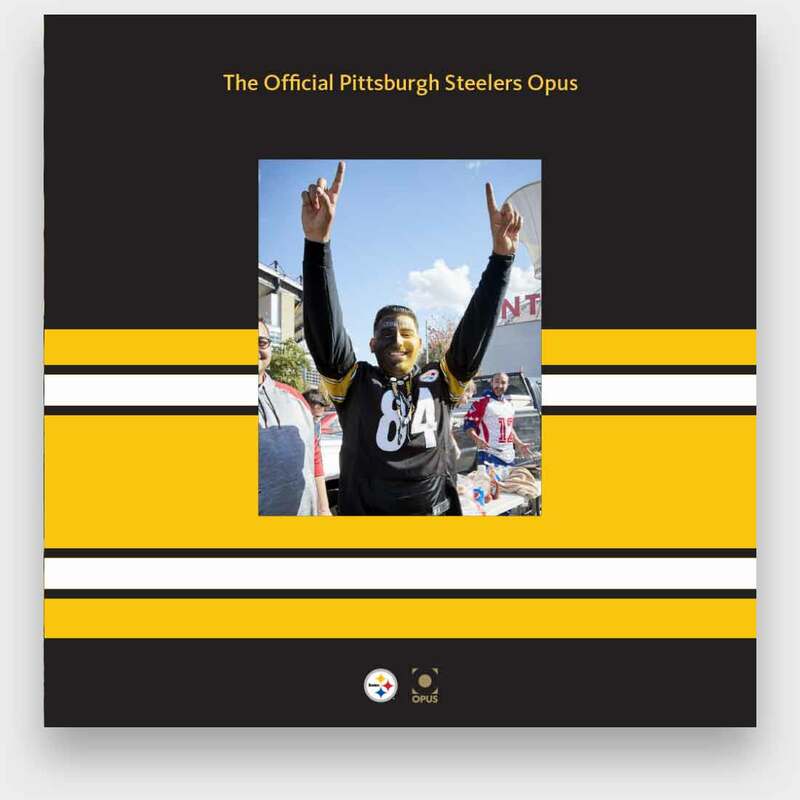 Includes a signature page signed by legends from the Steelers history including Hines Ward, Jack Ham, Dermontti Dawson, Lynn Swann, Franco Harris, Rod Woodson and Joe Greene. Make your Opus even more special and get your name inscribed on the special clamshell presentation case. Includes an ultra wide 20 foot gatefold. Personalized with a personal photo and message on the cover with Opus Tailor Made. * Tickets for the Tennessee game on 16 November 2017 only eligible on orders received on or before 15th October 2017. 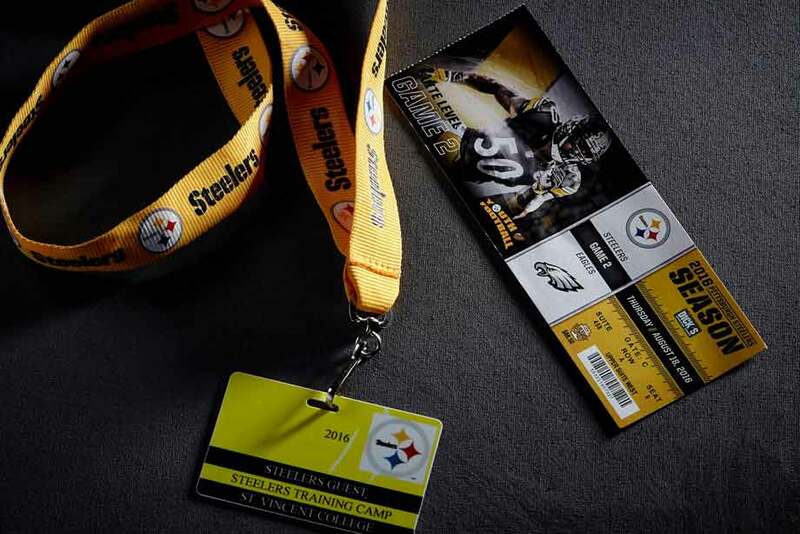 Tickets to the Cleveland game (31st December 2017) only eligible on orders received on or before 1 December 2017.